The yogis will do "standing poses for stamina" and "forward bends for resilience"
Does the political climate have you feeling exhausted? A yoga studio in Washington, D.C. has a class for that. 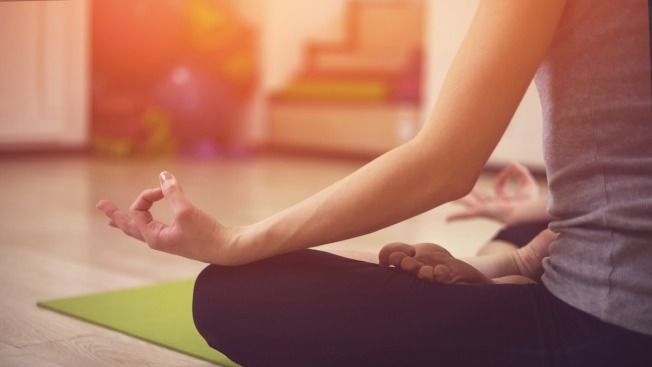 A studio in the Petworth neighborhood is offering a session Friday night called "Yoga and Self-Care for Political Fatigue." The class was created for people who are feeling depleted and want to recharge. "Every single day, something new is thrown at us. I think all of us feel a certain level of responsibility to respond," instructor Naomi Gottlieb-Miller said in a Facebook video. "But we have a limited ability to what we can do." The instructor was set to lead the class in "standing poses for stamina, back bends for courage and forward bends for resilience," the website of the Lighthouse Yoga Center says. The class will be held from 6:30 to 8:30 p.m. Friday, March 31. Information was not immediately available on whether additional sessions will be offered. Recent polls show signs of division among Americans. A majority of both Democrats and Republicans agree that their own parties are divided, and President Donald Trump's job approval rating is just 42 percent, according to NBC News/SurveyMonkey poll results released Thursday. And social media might not be helping. More than one-third of social media users said the amount of political posts and discussions they see is wearing them out, the Pew Research Center found this fall. Gottlieb-Miller recommended taking a breather. "My recommendation is to take a day off. Take a step back. Take space, and then go back in," she said in the video.